Pamela Mordecai, Kwame Dawes, Linton Kwesi Johnson, the latest Anthony Winkler -- pack some good books for your holiday. Besides sun, sand, sea and seclusion, here you can sit back and enjoy the blessed absence of no/cell/24-7/hurry-hurry life. This charming Fort Charles villa offers 1-5 guests total escape -- at a surprisingly affordable price. Nestled on an acre of open farmland, Villa Arcadia faces sunsets on the ocean. 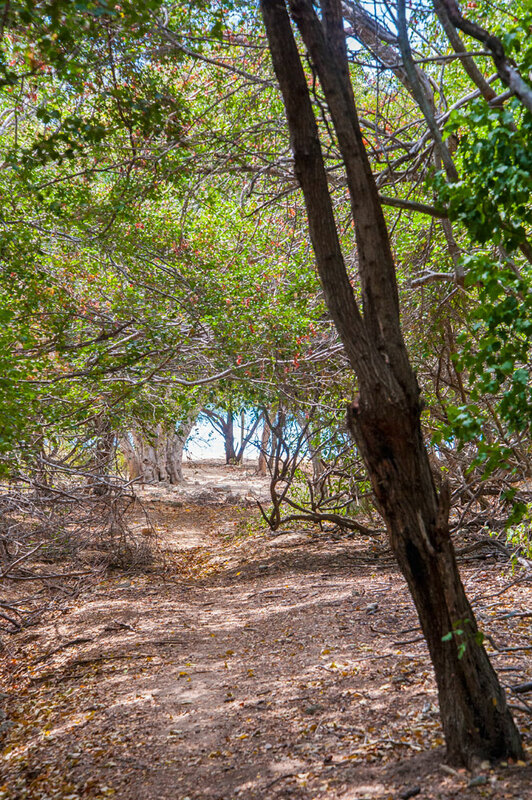 Set back from a virtually untrafficked country road, it's an easy walk to Fort Charles beach and a secluded hidden beach cove that returning guests fondly call "Clark's Beach", which about a 5 minute walk down the road close to your House Manager, Millie Clark's property. If you let her, Millie will look forward to spoiling you with escoveitch, roast turbot, lobster, johnnycakes curry goat, mango lada, callaloo, pumpkin soup, all with a warm smile. She will even pack you a lunch so you can go a lazy around on the beautiful, sandy beach (only a 10 minute walk away). A deposit in the amount of 50% of rental will Secure your RE-confirmed reservation. Balance and advance food/drinks kitty-contingency fund are due at least 60 days prior to arrival. Christmas and New Year's weeks balance due 75 days prior to arrival. and may be stocked into the villa for you with an advance kitty based on US$30-US$40/adult/day and US$15/youth/day. boat/fishing/touring guides, on-call US licensed massage services available. "If you're looking for a true Jamaican vacation away from the hustle and bustle, then this is your place. 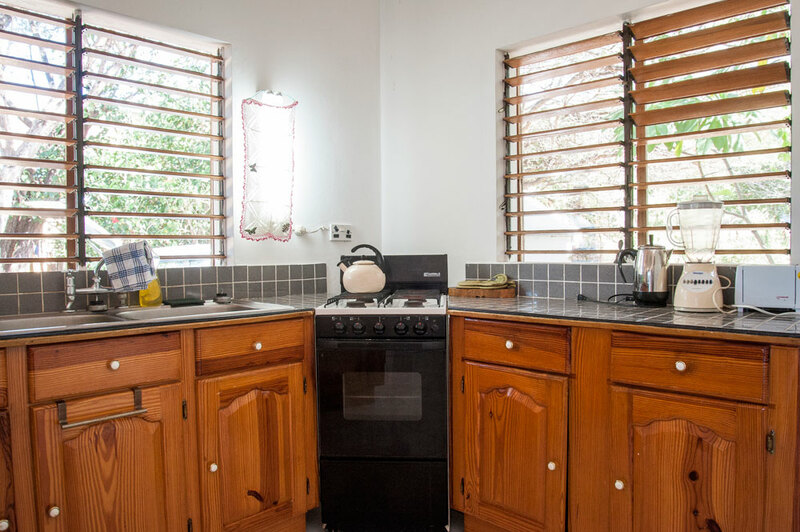 A week of delicious home made authentic Jamaican cooking and beaches untouched by throngs of tourists - it really is the best way to spend it." "Spent a weekend here with my family (2 adults and 3 children). We had a great time exploring Treasure Beach and its environs. Millie is a great cook and we enjoyed the meals immensely! 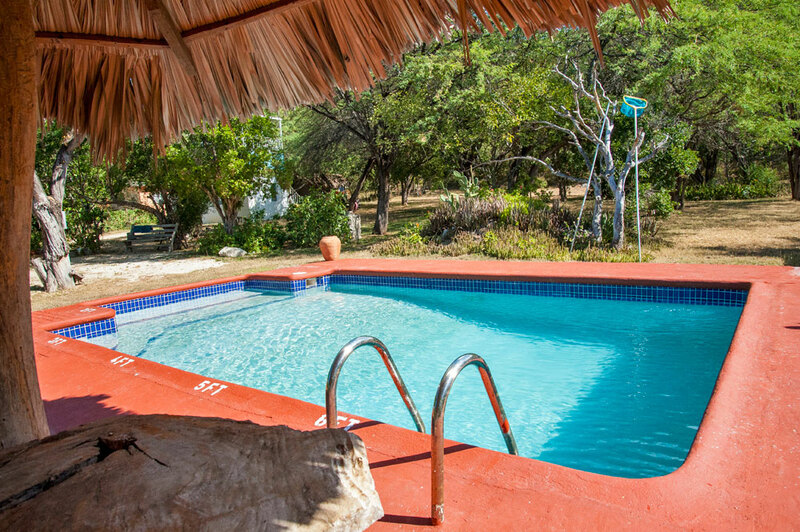 The pool is fantastic and well maintained....the high point of staying at Villa Arcadia was having access to an AMAZING secluded beach which is just a quick few minutes away. 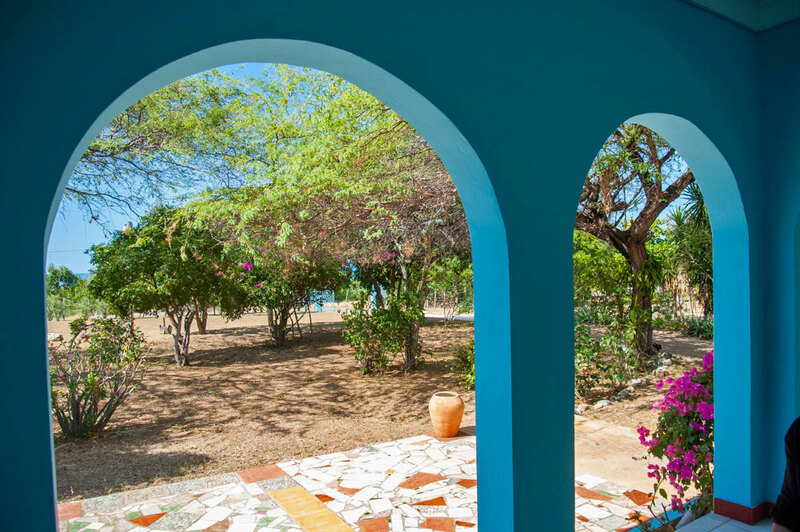 We could also view the expansive Caribbean Sea from the front porch of the Villa. If you stay here, please ask Teddy or Millie to arrange a boat ride to Black River to see the crocodiles. The coast is breath taking and make sure to make a quick stop at Pelican Bar which is perched in the middle of the sea! All in all a great experience and the children did not want to leave." 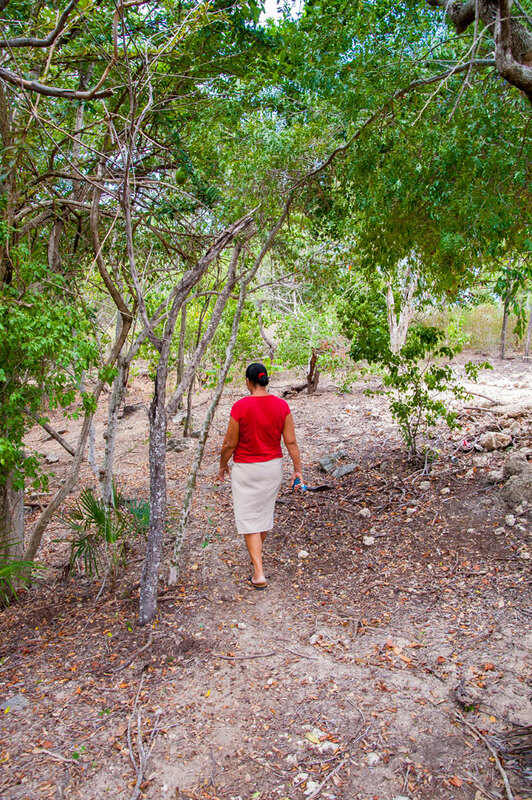 "This place is a real bit of Jamaica and away from the tourists. It is a bit basic, but is good value for money and has everything you need. The staff are wonderful, making sure we had everything we needed and being very flexible. We would definitely return." "If you want to experience a slice of Jamaica and not spend your vacation in a resort that's exactly like every other tropical resort in the world, Villa Arcadia may be the spot for you. It's in a quiet, but beautiful part of the island. Close enough to Treasure Beach for eating at Jake's, Smurf's Cafe, and Jack Sprat's (go for the weekly movie) without feeling like you're in the middle of a bunch of other tourists and also close enough to the town of Black River for going to the market or bank. We felt very pampered by Millie and Teddy. Millie will introduce you to delicious Jamaican food (or make your favorites) and answer your questions about life in Jamaica. Teddy can arrange a boat trip with his cousin to Black River, Sister Lou's for crabs, and the Pelican Bar. Be sure to do that! 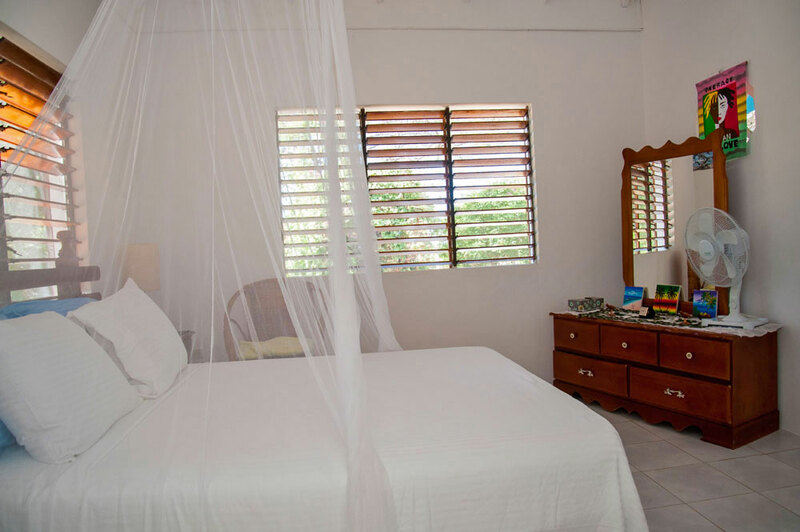 Villa Arcadia is not luxurious, but it's very clean and comfortable." "From the moment my husband and I arrived at Villa Arcadia to the time we left we had a great time. Everything exceeded our expectations. Villa arcadia was a very comfortable place - clean, bright and airy. Miss Millie took very good care of us. She is a wonderful cook and very knowledgeable about the area. We enjoyed all the fresh fruits, having breakfast outside in the morning, lunch by the pool, sitting on the porch, watching the hummingbirds, listening to the birds sing, swimming in the pool, reading in the hammocks, visiting with Miss Millie, having great dinners, playing dominoes with Teddy and watching movies in the evening. We walked to Calabash Bay a couple of times (about an hour walk each way - quite enjoyable), went to the beach (about a 10 minute walk) every morning - only saw a couple other people there the whole week! What is not to like about a beautiful private beach right down the road. We watched the sunset each night across the street on the stairs - great place for a sunset! Treasure beach is a wonderful area - very laid back and quiet - we enjoyed taking walks in the afternoon and jumping in the pool when we got back to the villa to cool off. Teddy is up early every morning to keep the pool clean. If you are looking for a nice vacation to get away from it all, Villa arcadia is a great place to go. The only recommendation I could give would be to have bicycles available for guests to use - it is a great area to ride bikes (we borrowed bikes from the neighbor one day and it was a lot of fun). We have been to Jamaica many times, but believe we finally saw the real Jamaica." NOTE: property now provides 2 mt. bikes for guests to use. "The house is situated on a gorgeous and well-manicured property which provided spectacular scenery. Millie was an excellent hostess and her cooking of local cuisine exceeded all of our expectations. Teddy always made sure that the pool was clean and ready for use. Plus, he was able to score two lobsters for us to eat one evening. The only problem we had was that transportation was difficult to come by if you don't have a car (or access to a driver, which was available for a fee). Access to bikes for the guests would alleviate this problem. Overall, it was a wonderful experience." NOTE: property now provides 2 mt. bikes for guests to use. "Our stay at Arcadia was very enjoyable. The villa and its grounds were perfect for a relaxing week and we were very well looked after by Millie and Teddy. We all would certainly recommend the villa and the area to others and would return in the future if possible." "The trip was all we expected, and MORE! Villa Arcadia was so clean and tidy!! Miss Millie is a WONDERFUL cook. Teddy kept the pool spotless of leaves. Their were lots of flowers in bloom. It was so quiet that we could hear the bees working the blooms. We truly LOVE this part of Jamaica. We are even thinking about skipping Negril next year." "I can't seem to get Villa Arcadia out of my mind -- it was the BEST vacation we've ever taken. Friendly, helpful people. Great food. Beaches nearby that were ours alone. After 22 years of marriage, it was completely romantic, a real 'love nest' for us. That's why we're coming back for TWO weeks next year!" ~ 2007 guests from Indiana"
My visit to this restful villa is forever etched in my mind. The peace and quiet enabled hours of uninterrupted painting. I will return to savor more of this tranquility." "We had a fantastic time in Treasure Beach. The villa is delightful and the whole experience amazing. Our boat ride to Black River was certainly different and something to be talked about back home. We enjoyed the company of Millie and her family. Millie is perhaps the real "treasure" here with her fantastic cooking and friendly welcome. A great place." 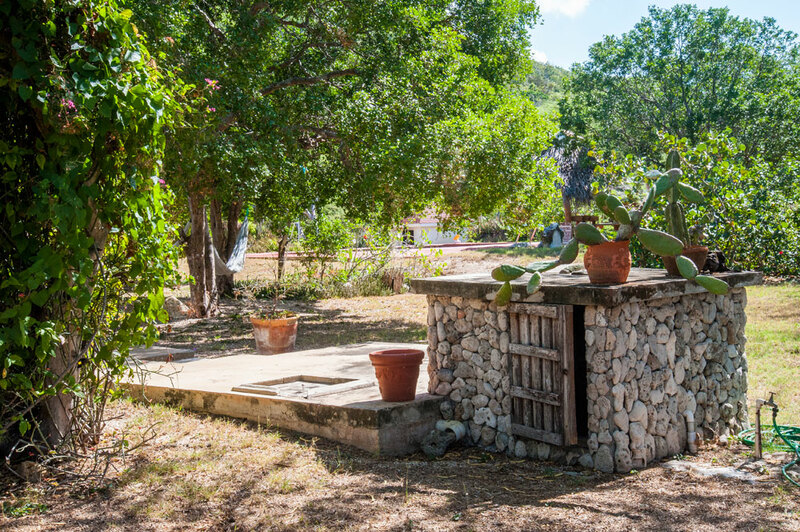 "We brought our dear friends here to show them the true beauty of Jamaica – how different and unspoiled St. Elizabeth is -- and to enjoy the experience of staying at Villa Arcadia. Millie's lobster was incredible." "We had a very peaceful and pleasant stay in a bright, comfortable, airy villa. We loved being lulled to sleep by the sea breezes and lazy cadences of the crickets."